Daniel is a New York State native, and currently resides in Astoria, Queens. After graduating from Xavier High School in Manhattan, he attended Boston University where he studied English Literature and was an active member of his community. 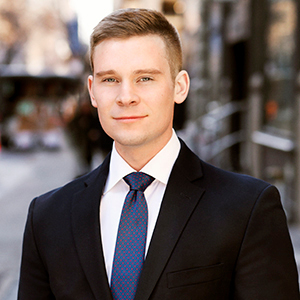 Daniel discovered his passion for real estate at an early age, exploring the many neighborhoods of Manhattan, and later as a financial intern for two major NYC-based architectural firms. His love for literature and architecture, paired with an incredible drive and business oriented mindset made residential real estate sales the perfect career choice for Daniel. In his free time, Daniel maintains a balanced lifestyle of fitness, work, and cultural exploration. One can usually find him in Central Park training for his next race, skiing, or at his favorite museum, the MET.